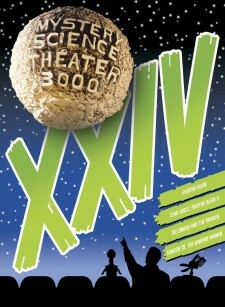 In this re-release of the second volume of episodes from the cult comedy series Mystery Science Theater 3000, Joel Hodgson, Michael J. Nelson, Tom Servo (Kevin Murphy), and Crow T. Robot (Trace Beaulieu) endure unimaginable – but wildly entertaining – cinematic atrocities. 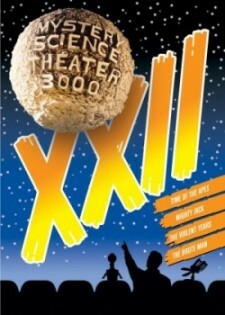 Originally released in 2003 by Rhino Entertainment, MST3K: Volume II fell out of print, allowing third-party sellers to raise prices to astronomical levels. Thankfully, Shout! Factory is here to save us from those price gouging fiends. In this collection, you’ll find cave dwellers, pod people, vengeful angels, and junior rodeo daredevils. 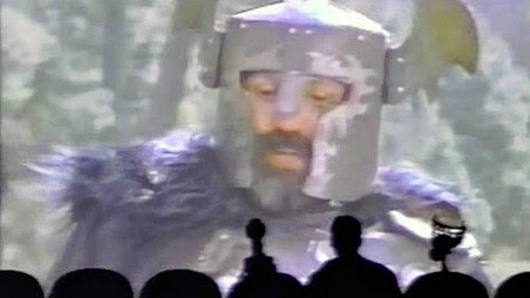 MST3K: Volume II features three episodes from the Comedy Central era, two with Joel Hodgson as host and one with Mike Nelson. There’s also Shorts Vol. 1, which includes seven shorts from the series. It’s a fun, wide-ranging mix of episodes spanning seasons three and six. Continue reading for detailed synopses of each episode! In the 35th collection of episodes from the cult comedy series Mystery Science Theater 3000, Joel Hodgson, Michael J. Nelson, Tom Servo (Kevin Murphy), and Crow T. Robot (Trace Beaulieu) endure unspeakable – but highly entertaining – cinematic horrors. In this set you’ll find cavemen, rubber-suited monsters, mummies, swords and sorcery, and cat-loving space aliens. 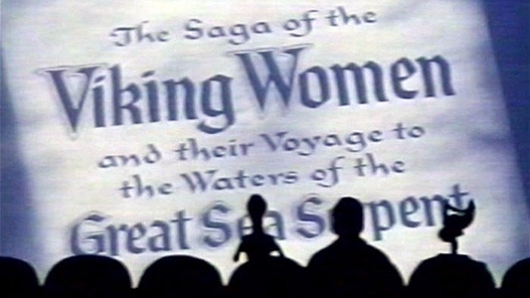 MST3K: Volume XXXV features four episodes from the Comedy Central era with Joel and Mike splitting the hosting duties. It’s a fun mix of episodes – including a triple play from Roger Corman – spanning seasons three through seven. Keep reading for a synopsis of each episode! In the 34th collection of episodes from the cult comedy series Mystery Science Theater 3000, Joel Hodgson, Michael J. Nelson, Tom Servo (Kevin Murphy), and Crow T. Robot (Trace Beaulieu) endure unspeakable cinematic horrors. In this collection of American International Pictures releases, you’ll find sea serpents, colossal beasts, she-creatures, and your garden-variety assortment of imps, witches, and streetwalkers. 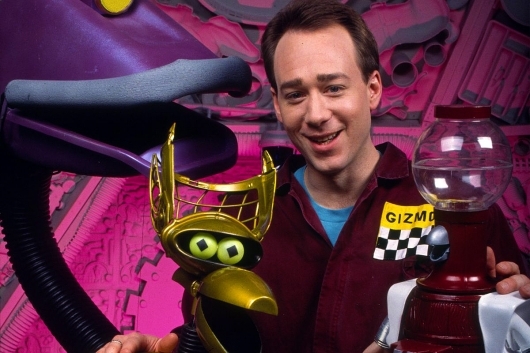 MST3K: Volume XXXIV features two episodes from the Comedy Central era with Joel Hodgson as host and two from the Sci-Fi Channel run with Mike Nelson. It’s a solid, eclectic mix of episodes spanning seasons three and eight. Continue reading for detailed synopses of each episode. Mystery Science Theater 3000 is one of the greatest television shows in history. It’s easily in my top five favorite shows of all time. When I’m having a lousy day and I want to feel better about myself few things cheer me up as watching Joel Hodgson, Mike Nelson, and their sardonic robot companions Tom Servo (voiced and performed by Kevin Murphy) and Crow T. Robot (Trace Beaulieu) on the Satellite of Love rip apart the horrible Z-grade genre flicks they’re subjected to on a weekly basis by the cruel Dr. Clayton Forrester (Beaulieu) and his hapless assistant TV’s Frank (Frank Conniff) with magnificent aplomb. Shout! Factory took over the DVD distribution of the show from Rhino back in 2008 and ever since have been releasing several box sets of the show’s finest episodes every year with fresh supplements. 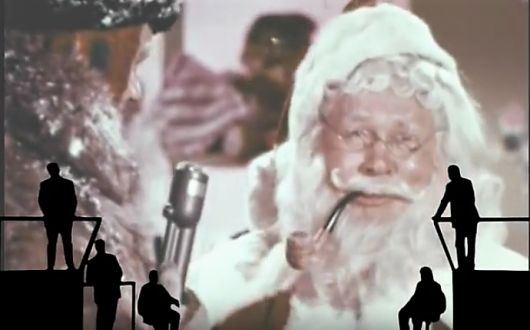 This time around the company has gifted us with a very special edition of MST3K: none of the movies submitted for the disapproval of the crew of the S.O.L. in this set originated in the United States. We get two movies from Japan, one from Finland by way of the former Soviet Union, and the set closes out with a oily gem from South of the border, down Mexico way. I suppose you could call this the first MST3K foreign film collection if you want to give it more class than it really deserves – which is none at all – so with that mind let’s get into Mystery Science Theater 3000 XXIV. In the not-too-distant future, next Sunday A.D., there was a show called Mystery Science Theater 3000, that looks like it was made for me. Sure you can’t put those words to music as well as lyrics written by talented songwriters, but that doesn’t make them any less true. Yes my friends, MST3K just may be one of the funniest shows in the history of American television. I have reviewed some of the amazing box sets released by Shout! Factory in the past, so I will spare you my passionate sermon on the greatness that people such as Joel Hodgson, Mike Nelson, Trace Beaulieu, Frank Conniff, Jim Mallon, J. Elvis Weinstein, Mary Jo Pehl, and Kevin Murphy, to name but a few, helped to give us outcasts and social shut-ins something to look forward every week during the dark decade that was the 1990s.